While in Amsterdam in the Fall of 2009, Nancy and I visited a number of places, most of which had some relevance to two lines of her ancestry. 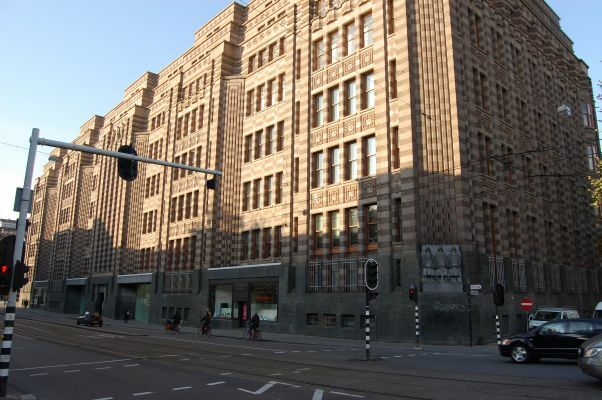 One day we visited the Archives in Amsterdam, an imposing building (see picture) but one with wonderfully organized records and most helpful staff. 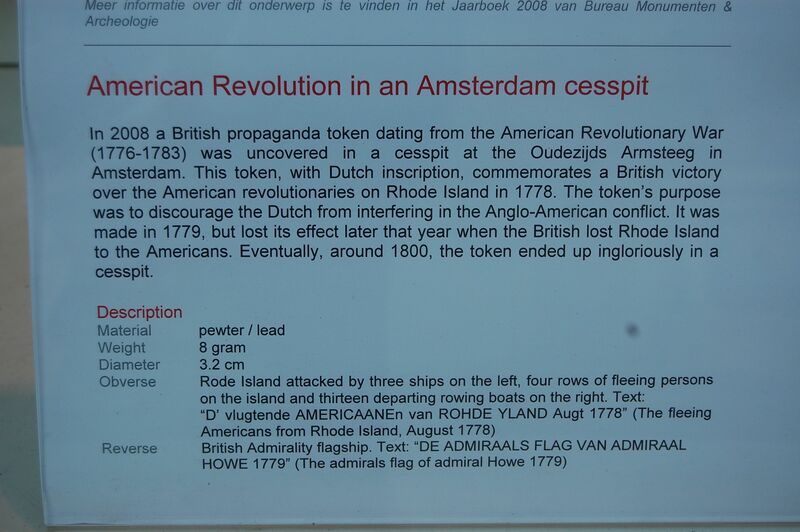 In 2008 a British propaganda token dating from the American Revolutionary War (1776-1783) was uncovered in a cesspit at the Oydezijds Armsteeg in Amsterdam. 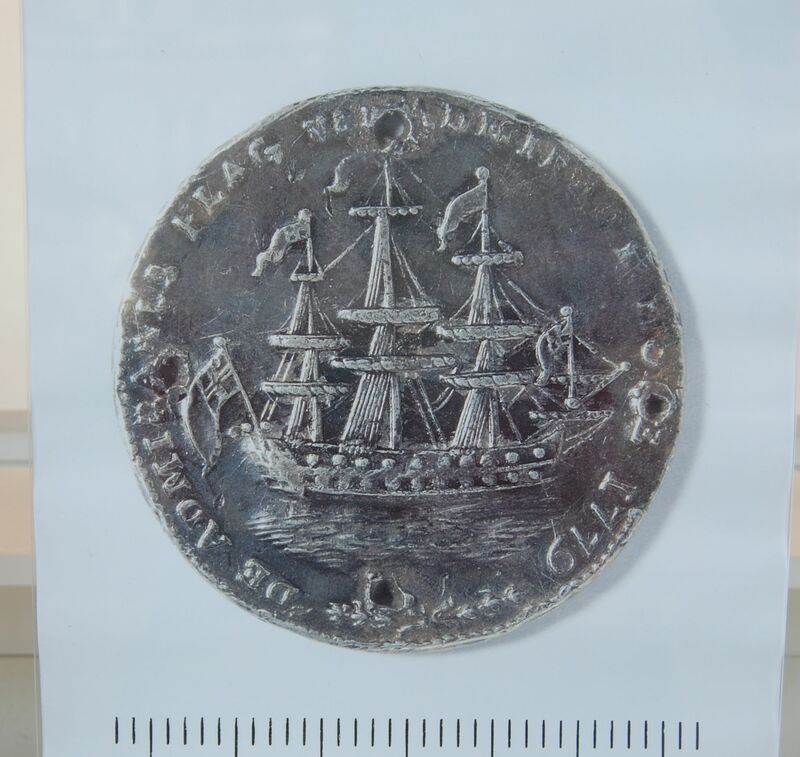 This token, with Dutch inscription, commemorates a British victory over the American revolutionaries on Rhode Island in 1778. 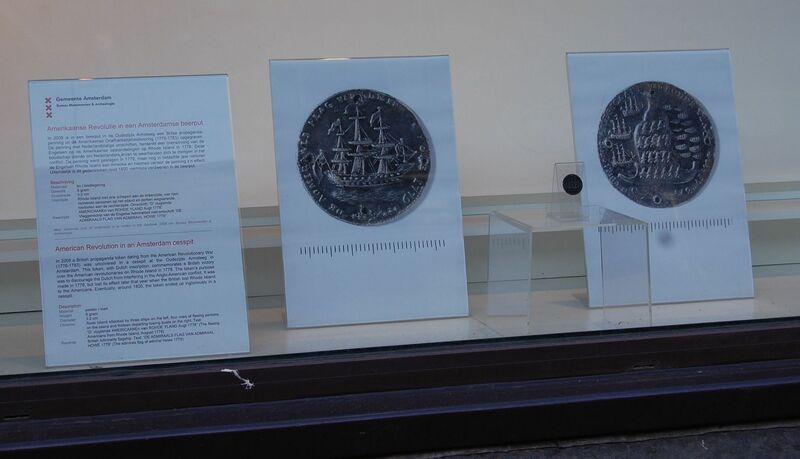 The token's purpose was to discourage the Dutch from interfering in the Anglo-American conflict. It was made in 1779, but lost its effect later that year when the British lost Rhode Island to the Americans. 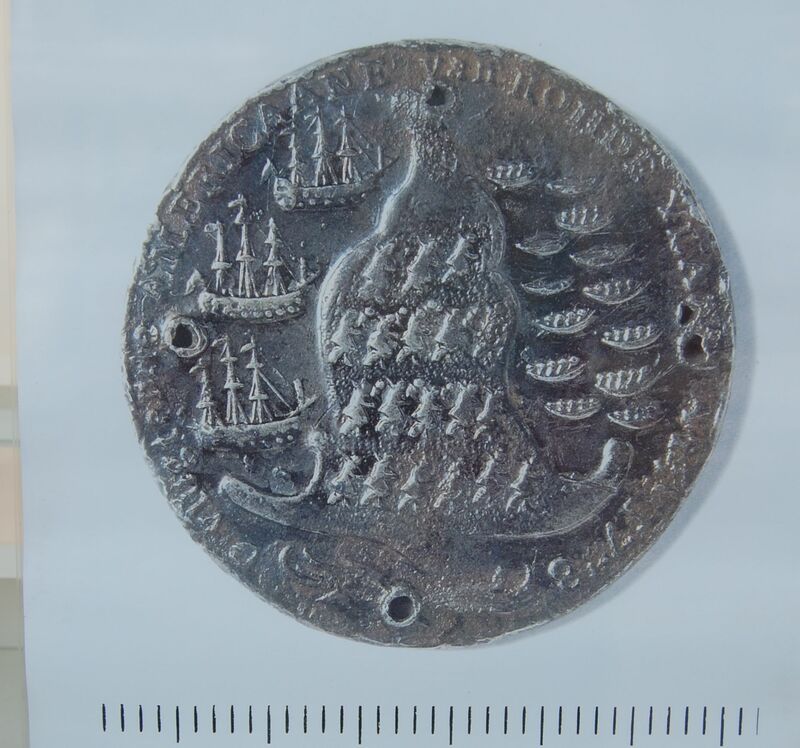 Eventually, around 1800, the token ended up ingloriously in a cesspit. British Admiralty Flagship "The admirals flag of admiral Howe 1779"
persons on the island and thirteen departing rowing boats on the right"